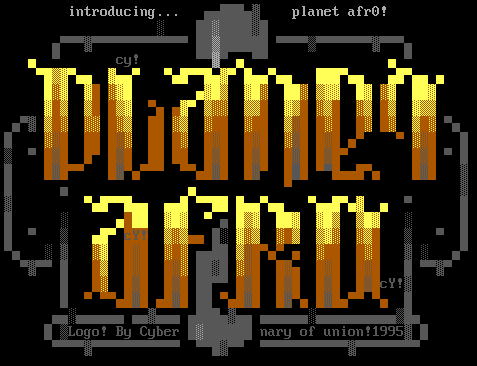 Welcome to PlaneT Afr0! There are several ways for you to connect to get an authenticate BBS experience with ANSI graphics and sound. [PlaneT Afr0 discord server] - Wastin' time with all the chatroom yakkers? 9 to 5, chillin' at Hewlett Packard?